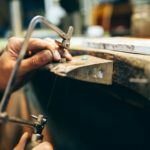 As a bench jeweler with Dana Augustine, Inc. you will have a major opportunity to work for an established, successful jewelry manufacturer, while traveling the U.S. Dana Augustine Inc. is the leading company performing restyling events nationwide. 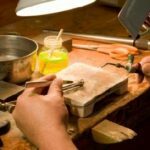 Utilize your experience in a work environment that will expand your skills as a jeweler, while you achieve personal financial success. Since 1981 Dana Augustine has designed, manufactured, and sold diamond rings of extraordinary quality and style. These rings are featured in the Catalog and Design Your Dana Augustine Look™ sections of our website and are shown by the American flag button. 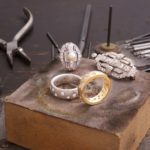 These beautiful rings are all designed and manufactured in our state of the art studio in Atlanta, Georgia. The rings shown on this website are a sampling of the vast selection of styles available during our “Dana Augustine Diamond & Restyling Event.” We will also have a large number of loose diamonds and colored gemstones available for your selection. Have fun trying on our rings. Not only will you feel the difference – you will see it. Each design is a miniature work of art, created in precious metal, set with beautiful diamonds, containing intricate details and sculpted lines, with substantial weight. 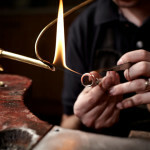 All set and finished by the hands of experienced American jewelry craftsmen. Diamonds and other gemstones that form a part of each Dana Augustine ring are of the best quality and color. These diamonds are all hand selected by our expert staff for incorporation into our rings. We have long standing relationships with diamond cutters and suppliers worldwide. 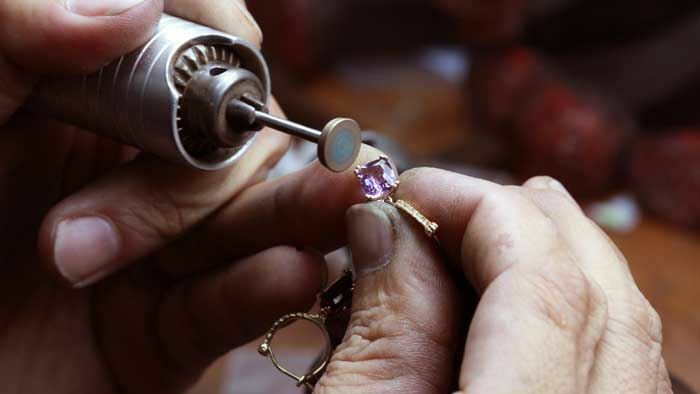 Our in-house gemologist and diamond buyers are adept at selecting the highest quality diamonds and gemstones. They consistently secure the best pricing for you, our customers. 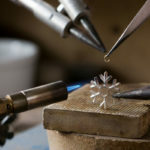 Except for special promotional items, all of our diamonds over one-third carat have written certifications by recognized, independent jewelry grading laboratories such as the Gemological Institute of America (www.gia.edu) and the International Gemological Institute (www.igionline.com). These certificates assure you of the exact qualities of your diamond. Dana Augustine, Inc., rings are marked with our registered trademark – “DAI”. And each ring is stamped based on its gold content such as 14K (14 karat), 18K (18karat), or Plat (Platinum). 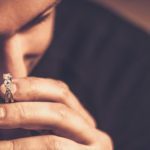 Dana Augustine’s constant goal is to provide you with jewelry of uncompromising quality at the best value with the assurance that you can rely upon the experience, reputation, and integrity of a company which has done exactly this for over thirty-one years. Our jewelry is available to you through fine jewelry retailers nationwide. To meet with one of our design teams to see, try on, and select your very own Dana Augustine ring, please check with your local fine jeweler and schedule an appointment for our nextDana Augustine Diamond and Restyling Event.